The End of My 5th Grade Journey? This is my Spanish Project with one of my classmates and it’s about the materials we use in school. Hello world! Today I’m gonna talk about my Social Studies project. This project was made in Minecraft, and is suppose to seem and look like Ancient Egypt. Now lets start! What are THREE new things I learned about about GEOGRAPHY & EARLY HUMAN SETTLEMENT? 1) I learned that the egyptians and the people from Canaan are similar to people now. Because we both eat, drink, have families, have jobs. Although the routines and daily life is different the main things in life is similar. 2) I also learned that land and weather is the same. Places flood and theres grassy land. And there are still farmers and people settle a lot. We still drink freshwater and have saltwater. 3) I learned that early settlement just mean’t that people in Ancient Canaan and Ancient Egypt settling, having a life in an area, having a family, includes jobs like farmers herders, nomads. And roles in life. For us to know what happened back in the ancient times. 1) I am proud of my results for my Minecraft world because, I think I showed detail and explained my choices for my water, topography and, vegetation. 2) I am also proud of my feedback from my quality of my iMovie. Even if the audio might be echoed, the video looks the same as my Minecraft world. And I showed all the features. 1) I would start my blog earlier because, doing my blog on the last class before due is stressful. And hard because it’s very easy to mess up a blog and make no sense. So next time I do a project like this with a blog post I will remember to do a blog post before due dates. Hello, this is my first blog being a middle schooler! Now that I’m in 6th grade, I joined Spanish. We had our first project, we had to make video in Spanish talking about what we learned. We followed the rubric we were given. I made my video making me switch into two people. This is my video, enjoy! I can’t believe it! 5th grade is over, and we’re going to Middle School. I don’t even know if any type of field trip can beat Cat Tien? But I’m still excited to go to 6th grade. I think Cat Tien was an eye opening trip. We learned about sustainability and teamwork. The most challenging thing about 5th grade is near the end of the year. The Shark Tank. It gave everyone chills and got them nervous. Speaking in front of the Head of School, the Principal, the Business Manger, and the Admissions Director. I do think that the first Shark Tank kinda helped, I guess. If I have any advice for future 5th graders, it’s to never give up that easily. I’ve learnt that the hard way. And that 5th grade is hard. I admit that, homework, math, and other stuff too. It’s different than 4th grade and 3rd grade, and also 2nd grade. But you will survive like the rest of us. I’m looking forward to new classmates and new teachers in 6th grade. Also the exciting field trips that everyone talks about. And did you hear about Week Without Walls? I’m so excited for next year! A new chapter in Middle School! Posted on June 8, 2017 Categories Special Events, UncategorizedLeave a comment on The End of My 5th Grade Journey? For the super unit Green Dragons, my group’s project was Color-Coded Recycling Bins. I chose this subject because I had noticed the recyclables that ended up in the trash. And as a goal of SSIS being a sustainable school, recycling is important. This idea is sustainable, because it’s not harming the environment in any way. In fact, Color- Coded Recycling Bins will help the environment. Our source for wood would be supplied by a local store, which would make the cost of wood cheaper. Since this is recycling project, students and teacher should agree to recycle. There is no affect to any culture about recycling, but instead it would help the world. This project also can be made with only 5th graders. For our proposal, we started to mak individual proposals. That included the Problem, Solution, Evaluation, Project Description, Equipment and Facilities, Budget, and Timeline. We also gathered information from our observations, and our survey we made. Also the whole group had to work on a Infographic, so each person work on their part on the Infographic. Then we had to pick parts from each proposal to make the final proposal. Like any other pitch, we had to practice many times. Something I found interesting in was the real amount of recyclables that are actually in the trash as well as the answers we got from the cleaners, about what they do to the trash. The most challenging part of this unit was the gathering the information. It was hard to find answers about what happens to the recyclables and organize all the information into the Infographic and proposals. Also when we had to answer the questions for the Shark Tanks, that was really scary for our group. We worked together and helped each other with the proposals and the Infographic. For the questions, we agreed that someone would do one type of question, and then someone else would do a different one. I think my team did good job at working together. And that’s the reason we probably finished everything on time. If we or someone would do this project again, I would suggest that they should interview the cleaner mostly, and use the survey results more effectively. Thanks for reading my blog post about the Green Dragons unit, and about Color-Coded Recycling Bins. Situation – What problem or complaint would your idea solve? Task – Basically, what are you trying to do? Actions – What are the steps or things you need to do to carry out your plan? Results – What kind of results do you want? How will you know if you succeed? For Situation, my group put in something like this: We have a lot of trash bins and few recycling bins, but with the amount of plastic we use, we need more bins for recycling. The Task is to make SSIS a more sustainable place, and if we add in more recycling bins, that will reduce plastic litter. If you don’t know, plastic takes forever to break down. The Actions are to make the trash cans out of plastic bottles, and place them all over the whole campus. The reason we need more is because I only see them in the hallways and classrooms. Why can’t we have them all over the campus? People eat outside the classrooms and cafeteria. The types of results I want is that this idea works and all students and teachers follow this rule. This idea is sustainable, because it will make the campus have less litter. And it will make the SSIS community better and healthier. Recycling bins are used for things that you would probably put in the trash bins, just because they’re near you. The good thing about recycling bins is that they are affordable, because we can use recyclable things in the Makerspace to make the bins. The reason why this idea might be something to think about for the leaders is that it has been planned already, so we know if it works. And if we add more we can do more. It will not affect any culture, because my group only wants to add more recycling bins. Sadly, we didn’t get to go to the shark tank, but I think we still did well. A few people came to listen to the speech for our group. I think why we didn’t go to the shark tank is because our idea was similar to a different groups idea. And that different group got to the shark tank. This was my experience with the Hackaton. Posted on March 8, 2017 May 23, 2017 Categories Unit StudiesLeave a comment on ?Hackathon? The whole 5th grade went on an overnight trip to Cat Tien Natural Park. It was for the new super unit, GREEN DRAGONS. On February 14th, Tuesday, we went on a bus ride for three hours to Cat Tien. I was in Group 2, which took Bus 2. We stop at this restaurant slash place to go to the bathroom. Cat Tien Natural Park is an island covered with jungle. My favorite part of the trip was meeting the moon bears, with their crescent shaped moons on their chest. We got to feed the moon bears with peanut butter, and some people got to fill hollow bamboo tubes and fill them with bananas, banana leaves, and dog food. I liked the primate center too, because we got to see “retired” or “married” gibbons. I was also excited to go to the primate center, because that is where we got to get souvenirs. I got a pencil made out of recycled products, a stuffed animal gibbon, and a wristband. In addition, I also liked the bonfire, mostly because of the marshmallows. The most interesting thing that I learned about during this trip is sustainability and teamwork. Sustainability: Cat Tien has a lot of greenery witch makes it a sustainable place for animals that rely on plants. In Cat Tien, they have two types of trash cans, one trash can for paper and cans, the other for food and normal trash. Teamwork: At Cat Tien, we had team activities, such as Alaskan baseball and human knot. Also when we did the micro-ecosystem study, we were in teams of four. We took a little area and placed down letters on little pieces of paper, and in our journal, we wrote down what we found. One challenging thing about Cat Tien is all the heat during the day, and all the activities we did per day. Since all day we’re normally out in the sun, that makes it hard to stay energized. I have a few suggestions for next year when the 5th grade goes to Cat Tien. I think for the time in between activities that go on longer than one hour, there should be 5 – 15 minutes of time to wash or cool down in their cabin. Also, the last night at Cat Tien, we had a student led bonfire and we got 1 1/2 hours to practice a skit, but only three groups that performed. I think next time before Cat Tien, people that want to make a skit already have a idea before they get to Cat Tien, so when they get the time to practice they don’t have to waste time thinking of an idea. Thank you for reading my blog post about the 5th grade Cat Tien Field Trip! Posted on February 24, 2017 May 23, 2017 Categories Unit StudiesLeave a comment on ?CAT TIEN FIELD TRIP? My topic was Photography. The reason why I chose Photography is, because I wanted to know more. If I didn’t research this topic I would provably think that a camera was made in 1800’s. I found all the information on the web, because on the books are mostly the same as online. The sources was InfoBits. For publishing I chose Pages, Because I wanted to try a new program, and I think it is the easiest to learn to use. I like my Contrast and Alignment but not my Repetition. After winter break we got about 2 weeks to do a goal for reading, mine was to read a book with mostly text. 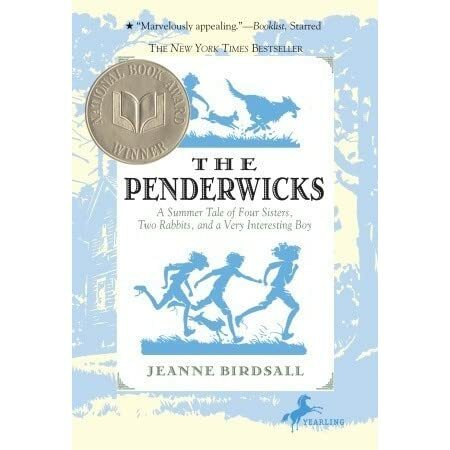 The book that I chose was The Penderwicks. To meet this goal I had to read about an hour a day to finish the book in the 3 weeks time. I finished my book on the last day before Tết holiday. The way I found this book was that I went to the library with one other person and looked at many different book, but none of them I was interested in. The Librarian Found a book that she liked and I looked at it. I finally decided to read the book, because it was also my reading level. The book is about four different sister that are going away from there dad for a summer holiday, but they find themselves in a beautiful estate called Arundel owned by Mrs. Tifton. They meet a boy named Jeffrey Mrs. Tifton son unexpectedly, Batty being the kid she is she said all the bad thing about Mrs. Tifton to her own son. Jeffrey got mad at the sisters, but they made up. The girls get used to the estate and feeling different about leaving. Do they want to leave??? I really really recommend this book to readers that like realistic books with adventures. Posted on January 26, 2017 May 23, 2017 Categories ReadingLeave a comment on Reading Goals? What did you learn by doing this experiment? I learned that adding hydrogen peroxide and dish soap make a foamy mixture, but not as what it looked like online. I learned the science equation for hydrogen peroxide, dish soap, yeast, and water is 2H2O2￼2 —-> H2O + O2. What was the best or most interesting part of this experiment? I think the most interesting part of my experiment was when the foam went all the way to the top, but didn’t flow over the top of the test tube. The next most interesting part of my experiment is the smell of the reaction, because it smelled like soap. I thought it would smell like acetone, or worst. How could you make the experiment better or more interesting if you did it again? Posted on December 16, 2016 May 23, 2017 Categories Science, Unit StudiesLeave a comment on ?Elephant Toothpaste? ?‍?